I will do some digging once I am home and see if I can find any numbers. The reynolds decal is certainly boom era as mentioned. The decals are the same as my 1972 px-10 except there is only one fork decal on the drive side and it has reddish font instead of the typical green. Maybe a French way to save half a cent per bike or it has been lost along the way. I have also potentially found a damaged stem bar clamp after reviewing pictures this afternoon. Undersized French diameter bar and overzealous clamping? Ouch. Yeah I'd change that stem out. Red font in a 531 decal usually meant "SL" or later was called "531 PRO" (at least for the complete tubeset) but not sure if that's the case for fork-blade decals or if (as you think) it may be a case of using what was on-hand that day. Also not sure if the SL/Pro 531 sets came in metric versions but that would not have been a factor for just fork blades. Last edited by unworthy1; 03-21-19 at 02:48 PM. Possibly not. 3TTT made stems for the typical French sizes. Date code July 72. No other codes or serial numbers I could find on components or the bike itself. Unfortunately cracked stem clamp. Will have to find a french stem now. Mine also has chrome as well as different graphics. I hope to learn whether Narhay's bike, and others like it, appear different because of the model year or perhaps because it is a special model. To me it looks just like the Gan team bikes. Any any case it is a fine looking bike! Originally Posted by Insidious C.
The boom era GAN-Mercier Equipe model is readily distinguishable from the more common 300 model. 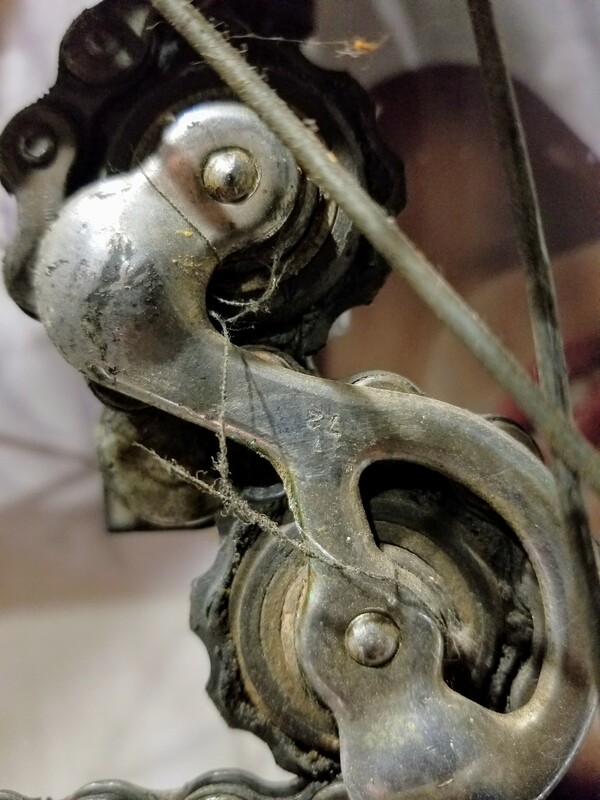 They were Campagnolo (Nuovo) Record equipped and consequently used a Campagnolo dropout, making them identifiable even as a bare frameset. A friend of mine had one that he owned from 1974 to 1983. We had watched live, as Poulidor finished 2nd to Merckx, yet again, in the final sprint at the 1974 World Championships in Montreal. Last edited by T-Mar; 03-22-19 at 06:20 AM. i like this very much. I am partial to green and chrome. Looks like yours has an earlier LJ1000 rd or maybe an sx610? To be totally honest, my sister was the original owner of the bike. 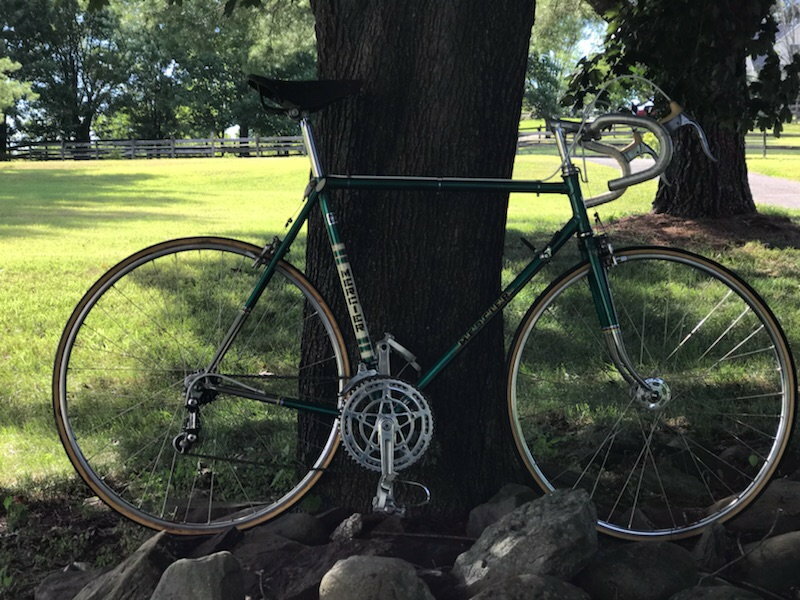 I purchased it from her in the mid/late '70s That sort of explains the extended seat post and stem. It has all original equipment, except for tires, spokes, bar tape, cables and housings. Kickstand is missing though. Last edited by satbuilder; 03-22-19 at 11:41 AM. I see the rd better now. I have mafac racers on my peugeot and I am interested to see how these first gen dura ace compare. 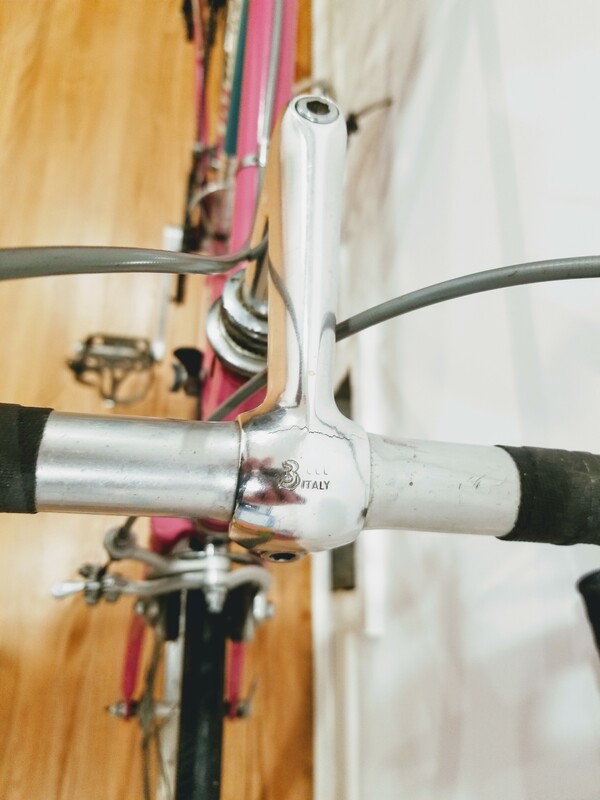 1st generation Dura-Ace side-pull brakes were boss in the mid-1970s. They were 40% less expensive than Campagnolo, with all the performance and drilled levers to boot. The quick release wasn't as nice and they didn't have the patented toothed washer but you could buy something that performed the same function for 2 cents. MAFAC Racers can perform almost as well. They have just as much stopping power but aren't quite as stiff. They're more tunable due to the number of set-up parameters but this also makes them more difficult to set-up and prone to changes in settings. The first generation Dura-Ace side-pull brakes were my favourite side-pull brakes for over a decade. Last edited by T-Mar; 03-22-19 at 02:57 PM. I have to agree that the quality of the DA brakes were surprisingly good. The quick release is slightly less refined than my record brakes. I am assuming a set of cane creek hoods will fit on the DA levers. 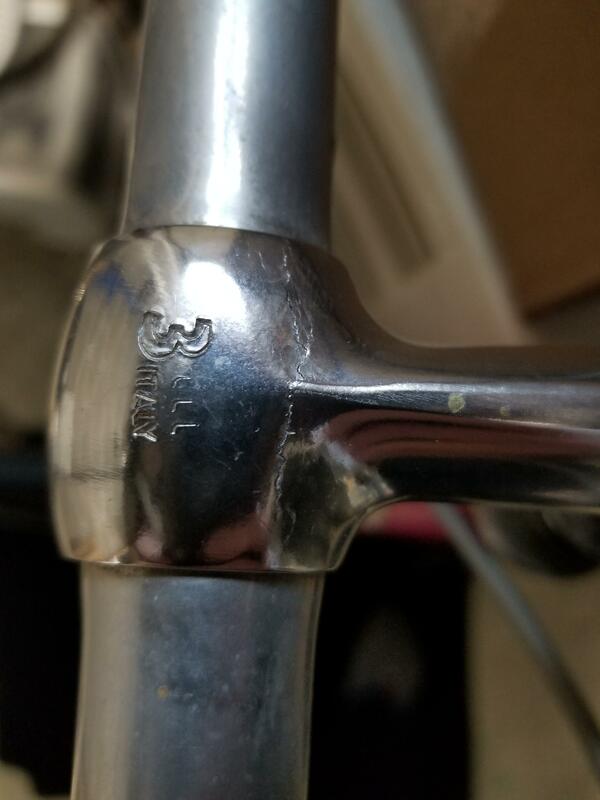 Ive also found the serial number in the head tube badge. 383759. Not that serials are ever as straightforward but 1973, august, 3759th bike? The mid 1972 component and boom reynolds decal support this as well. 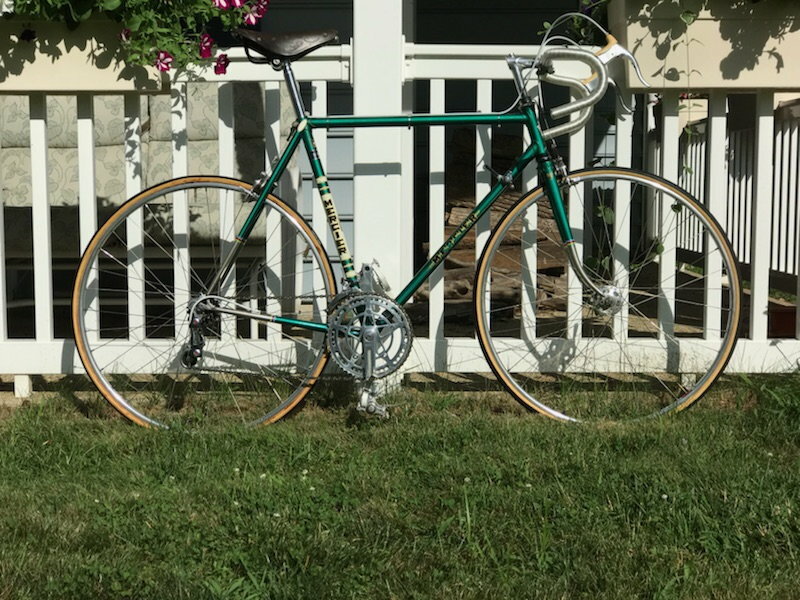 Schwinn Sprint 24" wheels -- what is the tire size?